This t-shirt has something we all still use almost everyday a computer mouse. A nice drawing of a mouse with the wire and the scroll wheel. And this mouse t-shirt is available in a wide selection of colors and styles for men, women and kids and every geek and nerd of course want a shirt like this. I for sure would like to own one. 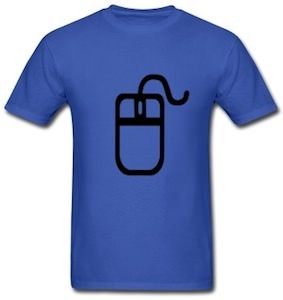 Come check out all the options of this Computer Mouse T-Shirt.